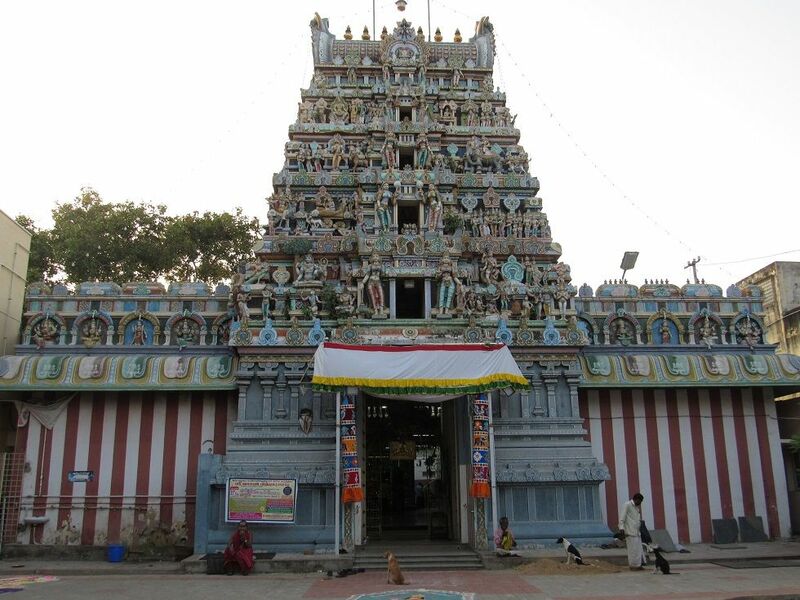 Sri Kanyaka Parameswari Temple, established in 1720 and managed by SKPD Charities, is an important pilgrimage center in Chennai. This Temple is located at the intersection of Anna Pillai street, Audiappa Street and Acharyappan Street near Broadway, Parrys. Here is the exact location. Recently, they had organized celebrations for Vaikunta-Ekadesi festival and I went to attend it. Here are some highlights from that event. In the morning, they had organized poojas, rangoli competition, and paramapada games. 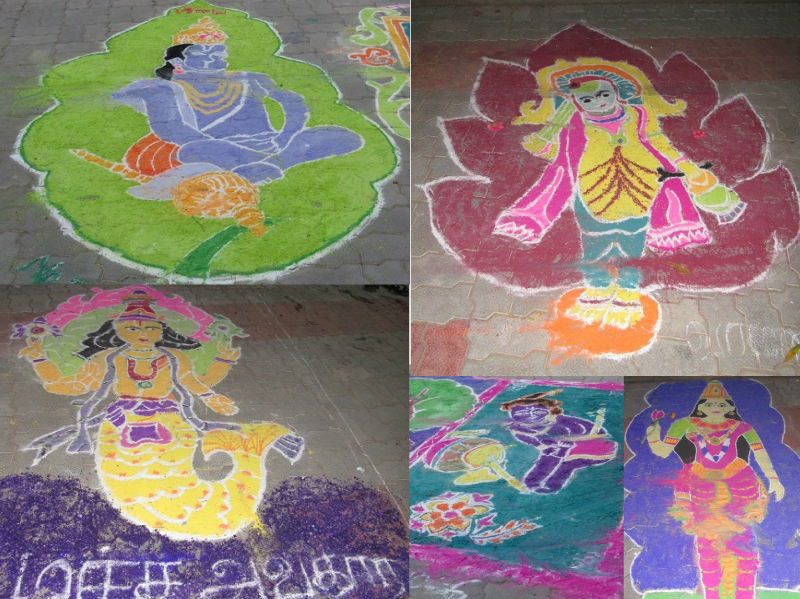 The above photo shows a few interesting rangolis on various avatars/images of Gods made by participants. Since I went in the evening, the rangolis were not in perfect shape, but were in clickable condition nevertheless. By around 7:00 P.M., a fancy dress competition for kids was held. 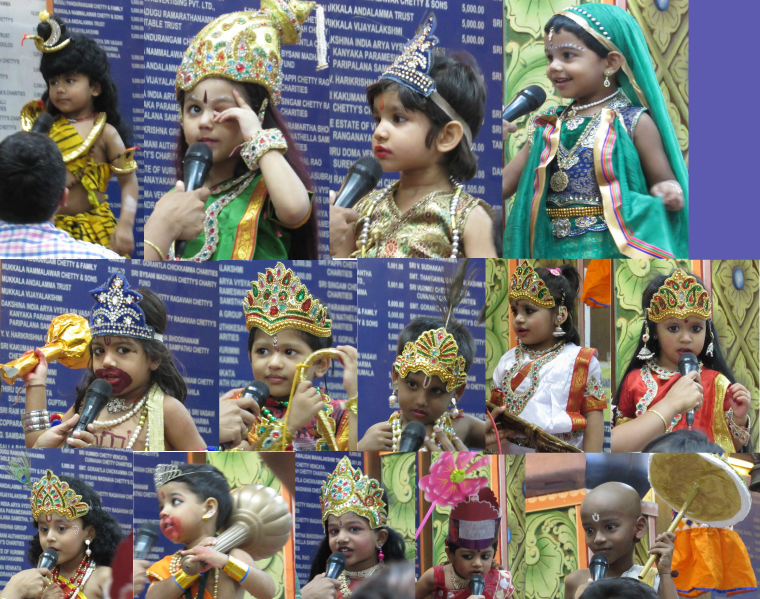 This was an exciting event with cute nursery kids donning the roles of many different Gods. The above photo shows the collage of a few participants, clicked by me. All the kids were wonderful and prizes were given for everyone. Then came the Devotional Songs & Bhajan by Sri Balaji Bhajana Mandali, Chennai. 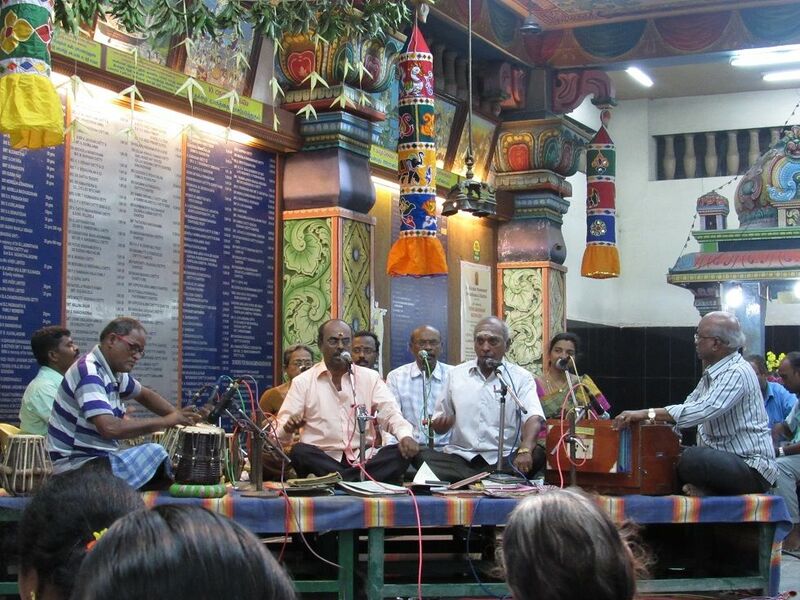 The popular Doma Venkata Subramaniam brothers troupe sang many devotional songs in Telugu and Tamil for the occasion. This, I guess, was followed by a devotional movie screening late in the night, but since I had work on the next day morning, I had to return to my house by then. Before I sign off, I should tell you all about the legend of God Kanyaka Parameswari or Vasavamba Devi. In the 10/11th Century, Vishnu Vardhana, a Chalukya King, visited Penugonda and fell in love with Vasavamba, who lived in that city. He requested her hand in marriage, but since Vasavamba refused, he decided to attack the city and take her off by force. Vasavamba, to avert large-scale blood-shed due to war, decided to jump into the fire and kill herself (along with 102 other couples) before the King could reach the city. 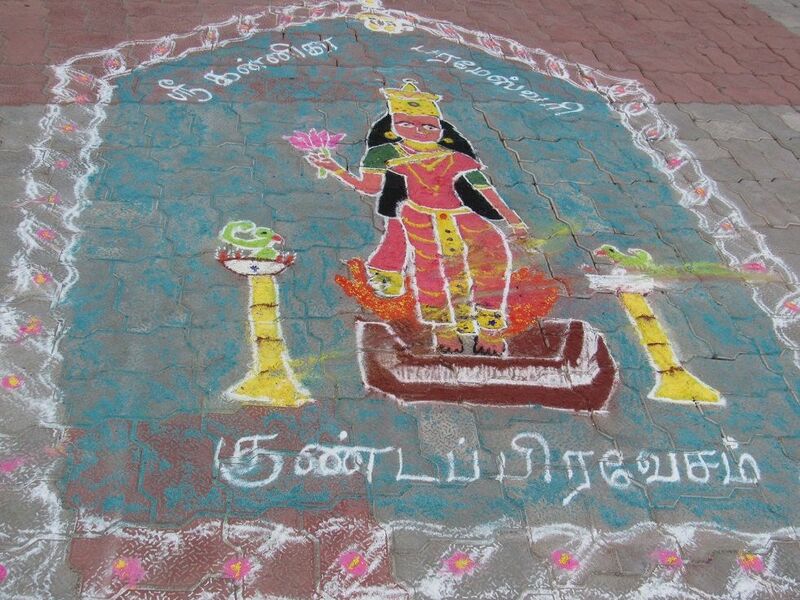 The above rangoli depicts this ‘Gunta pravesam’ scene. On hearing the news, the King repented his action and he too died on the spot. Thereafter, Vasavamba, believed to be an incarnation of Godess Parvati, was worshiped as Kanyaka Parameswari. Here’s the full story, if you want to read. Interesting post DI. I loved the collage of the kids the most. I have visited few temples in Chennai but don’t think I have visited this temple.